I waited 6 years to get Tanner. 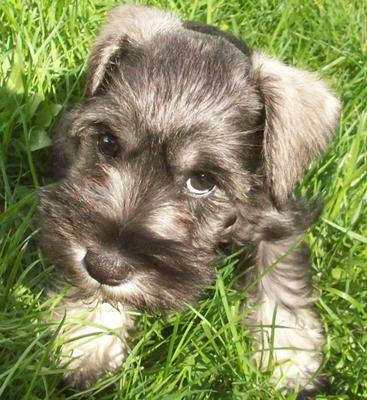 I had a miniature schnauzer before Tanner. My husband didn't want another dog and finally after 6 years I decided I needed another dog. I went to a breeder and picked Tanner out. I have no other children so he is my spoiled baby. He always makes me laugh. We are having so much fun! Trouble always seems to follow him. 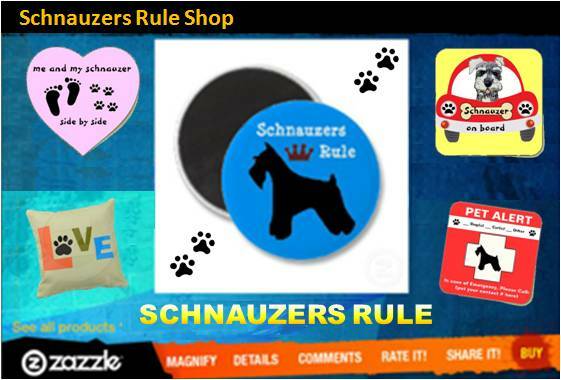 I love mini-Schnauzers. I have 6 of them, three white, two black and one silver with brown and black eyes with long eye lashes. We had a little boy Tanner for 14-years and I cried like a baby when we had to take him to the Vet to have him put down. It still hurts and that was 9-years ago. It was two-years after my wife's son was killed and three-years before my daughter died. When this little was born I named the pretty glamour girl with the black eye shadow and long black lashes, Tanner. I like to say the name and I remember my wonderful boy dog. I still can't the tears when I think of him. He's such a handsome good boy for his momma!! Those eyes will do it to me every time, no wonder he is so spoiled! What a cutie patootie! Of couse, I'm a bit biased since I'm Tanner's favorite Auntie! He is even cuter in person! Love you Tanner! What a little sweetie! Those are some hard to resist puppy eyes lookin' at ya! enjoy him to the fullest !